Vote for us: click here! Feyenoord have sold leftwinger Ellery Cairo to FC Twente,the exact price isn't known,but it is a few million.He has signed for 3 years at the club in Enschede. Sorry for the lack of updates recently,but I'm busy making an even more realistic "Kuip" for EURO2000.It is nearly finished,I will make some screenshots of it later on today. JULIO RICARDO CRUZ TO GALATASARAY?? Galatasaray has made an offer on Feyenoord striker Julio Ricardo Cruz of less than 15 million guilders(about 4.4 million pounds).Feyenoord say this isn't enough though.Rob Baan of Feyenoord said Cruz would leave Feyenoord at the end of this season nearly for sure.Feyenoord refuse to name a transfer price for Cruz. FEYENOORD STADIUM "DE KUIP" RELEASED!!! 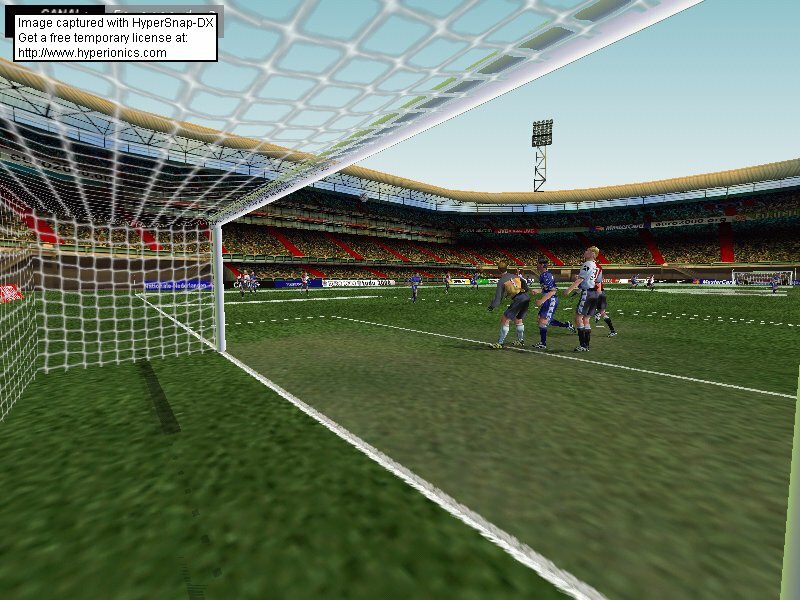 De Kuip is finally released,it is a bit later as planned,because there where some problems with the internet. 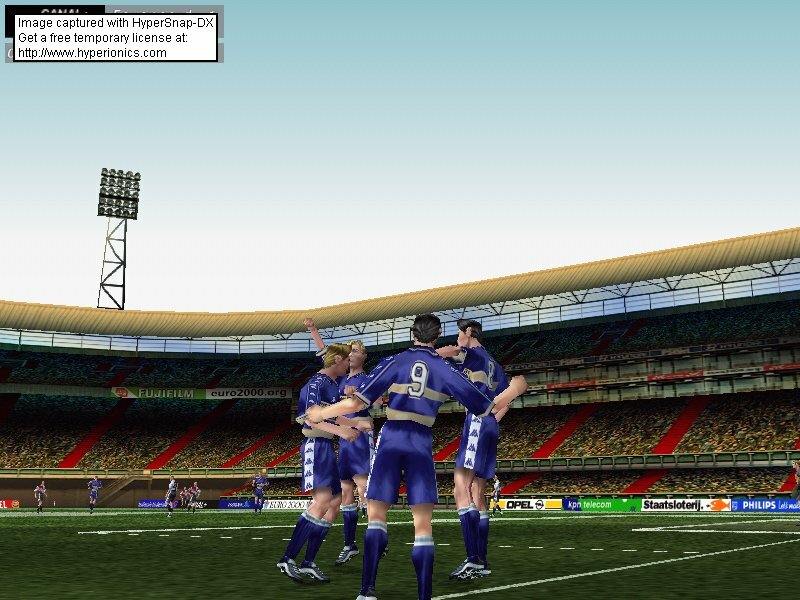 FEYENOORD STADIUM "DE KUIP" IN FIFA2000!! 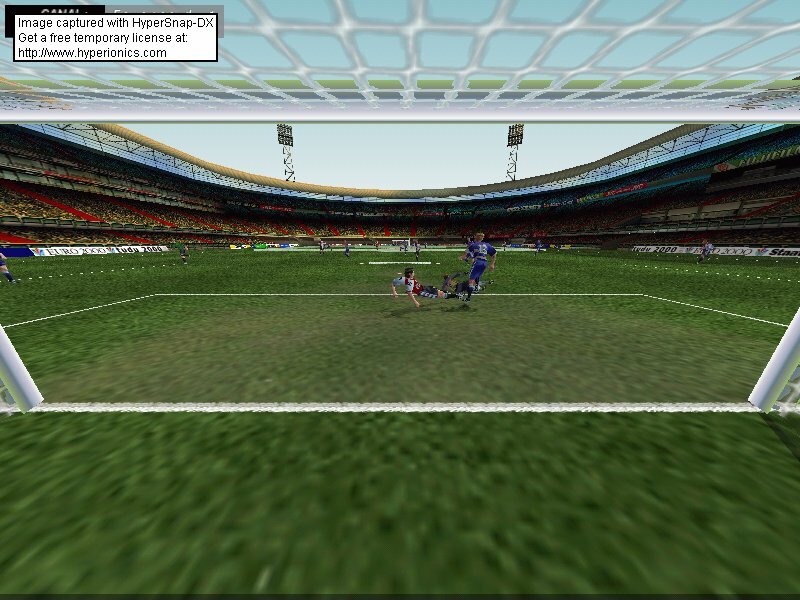 Great news,I have managed to convert De Kuip from FIFA EURO2000 to FIFA2000! !There is one problem though,untill now it only works in 3D mode,but I think I'll manage to make a software version to. De Kuip patch will be released Friday evening 6 o'clock(Dutch time).So make sure you download this great stadium to make the game even more realistic. The second patch is the Feyenoord clubsong "Hand In Hand" for FIFA2k,download it at the Downloads Section. After the great succes of the Feyenoord crowd,which became the most downloaded file on this site,I have decided to make a second version with more detailed flags and shirts,the crowd will also where the new KAPPA kits of next season. I need you to decide witch flags to be in the crowd and witch other things you want to see in the crowd.